Vettaveli is a Tamil term meaning “space for liberation” and it is also the word that we have chosen to name our School, because it intends to be a space to set oneself free from what one is not. Vettaveli is what the human being looks for in an innate and continuous way: to experience and realize who we are. Vettaveli is the “place” where the Self dwells. The school Vettaveli is under the management of Ramón Ruedas. Ramón has spent a lot of time investigating and experiencing this Siddhas’ tradition and has also put into practice the Vasi Yoga, comprehensive of the techniques that show the road to reach that state of pure consciousness. Presently there is a training group for adults. But we had the feeling that this experience should also be accessible to those who are still in the stage of childhood. This is the reason why Vettaveli has come to existence for children, an education that has the purpose to guide and accompany the souls of our children along a pathway where one can not only get on well in this life, but also to grow spiritually. The Vasi Yoga is addressed to all the souls regardless of their age. From Vettaveli we wish to offer a space where parents and children can accompany each other thus growing together spiritually. The family is a support for the evolution of children. The Siddhas, who were ordinary persons who attained the enlightenment, considered that the spiritual knowledge is the true education. True education is the one that liberates, being worldly ones the others which we receive throughout our student life as far as their goals and effects are concerned, i.e. they allow us to get on well in this material world but do not help us to find the pathway to the Absolute Bliss, namely: the Happiness, Joy or Bliss that do not depend on external events or internal states of mind. A true education is a pathway to the search and return back to the Self. The true education is a pathway to the pure consciousness. Our work is focused on helping families to see clearly that the way to the pure consciousness is intimately connected with Vasi Yoga, working from this point of view with adults and children as well. A millenary tradition showing the road to the evolution of both the Consciousness and the Self: the tradition of the Siddha yogis. The practice: Vasi Yoga. A set of practices that enable people to experience and understand his true inner nature: the Self. 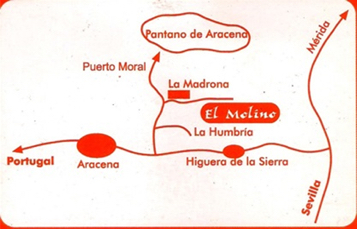 A place: El Molino. A place whose energetic characteristics favour the connection with the inside of oneself. A group as the support to share experiences. A guided process that allows the contrast of both the experiences and the evolution process of the person. To become acquainted with the Siddha yogis. Who were they? What were they searching for? Which were their contributions? Ramón Ruedas Gómez, professor of Yoga and Groups of Inner Growth, Rebirthing therapist and Holotropic Breathwork facilitator certified by Grof Transpersonal Training, researcher on the Tradition of the Siddha yogis, as well as titular School leader and founder. He will be working with adults. Raquel Castillo Prieto, school teacher, Educational psychologist, professor of Vasi Yoga, Non-directive education and Active education Trainer, accompaniment of both children groups and their fathers and mothers in their evolution.